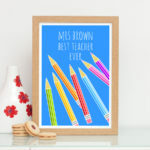 This best teacher ever pencils print is a perfect unique and vibrant gift for your child’s teacher at the end of term. 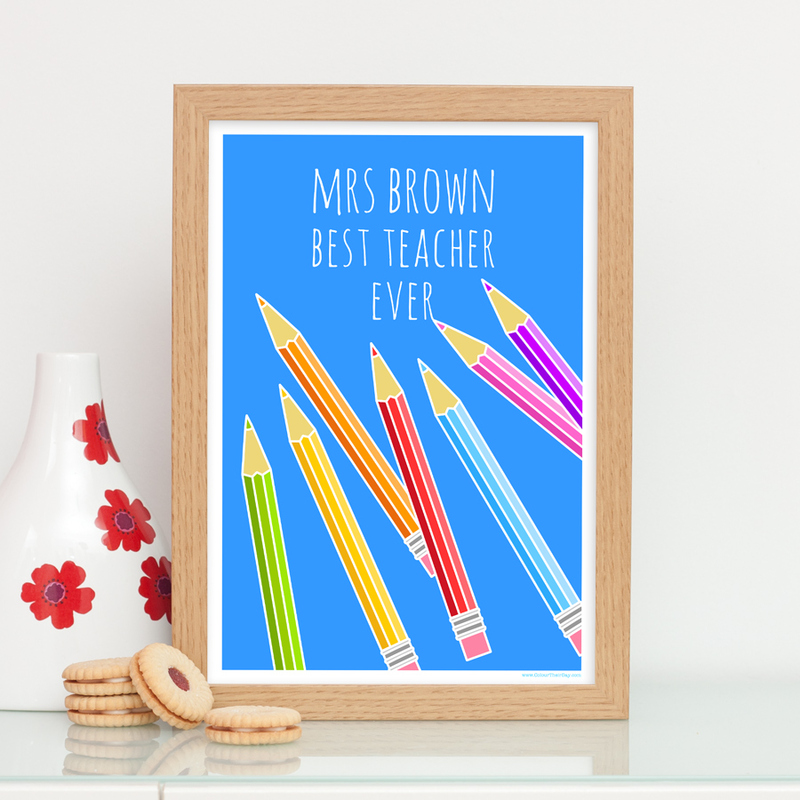 The design features a selection of brightly coloured pencils, scattered on top of a brilliant blue background, with the text ‘Best Teacher Ever’. 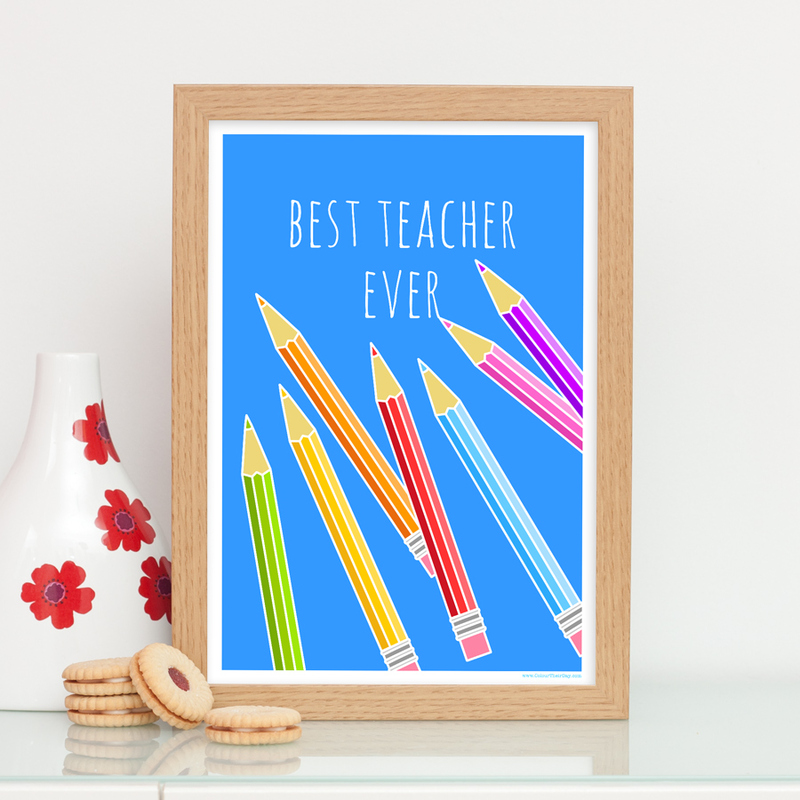 Be the first to review “Best Teacher Ever – Pencils Teacher Print” Click here to cancel reply.